Features: Carbon Like Black Coating. Optics Ready. Compensated. 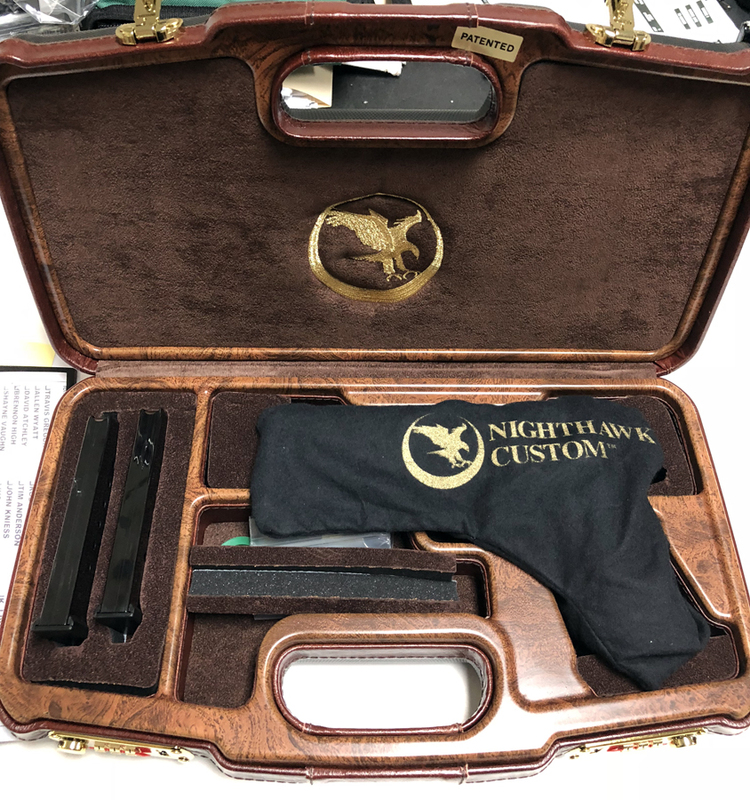 Condition: New in STI Box and Soft Case! 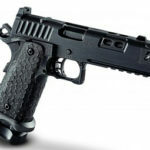 STI BEST PISTOL YET NOW IN 45 ACP! The Latin meaning for Omni is “all” and the DVC Omni is no exception. 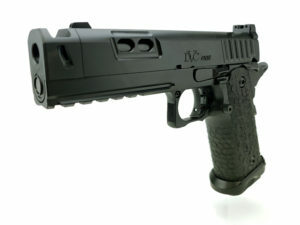 The DVC Omni encompasses STI 2011® technology as well as added features most appealing to all shooters. 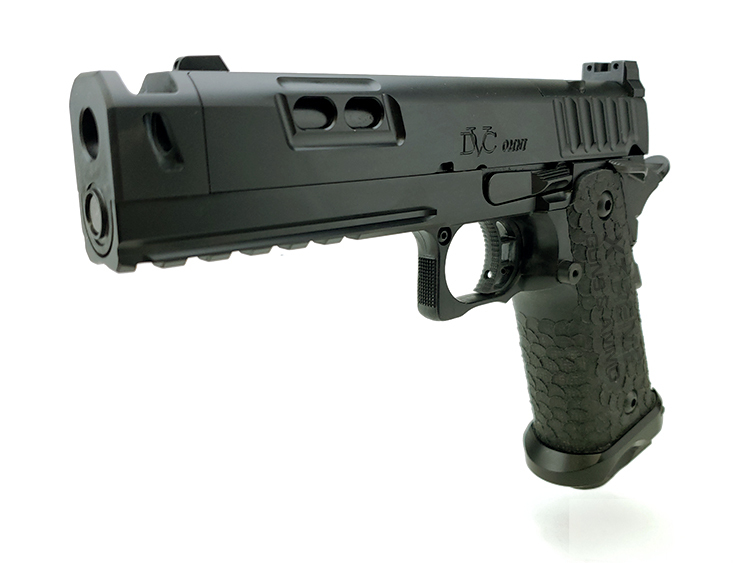 Its Island Comp Barrel creates the fastest shooting, lowest recoiling, flattest pistol we have ever made. A H.O.S.T. 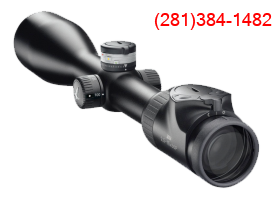 Optic Cut allows for endless slide mounted optics choices and comes with all plates needed to run the optic of your choice. 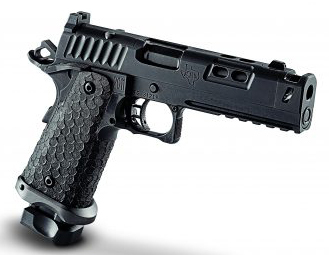 Not only is the slide Shorter, 4.15”, but it has STI signature DVC lightening cuts- less mass in motion means less recoil to your hands. 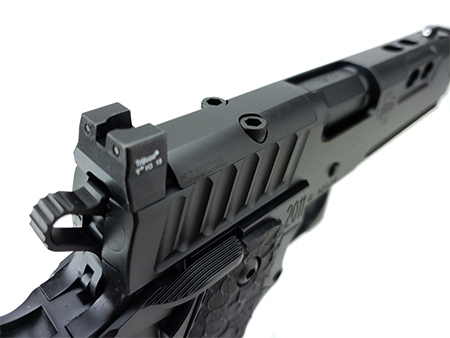 Features: Kobra Serrations. Stainless Steel. Ambi. Night Sights. 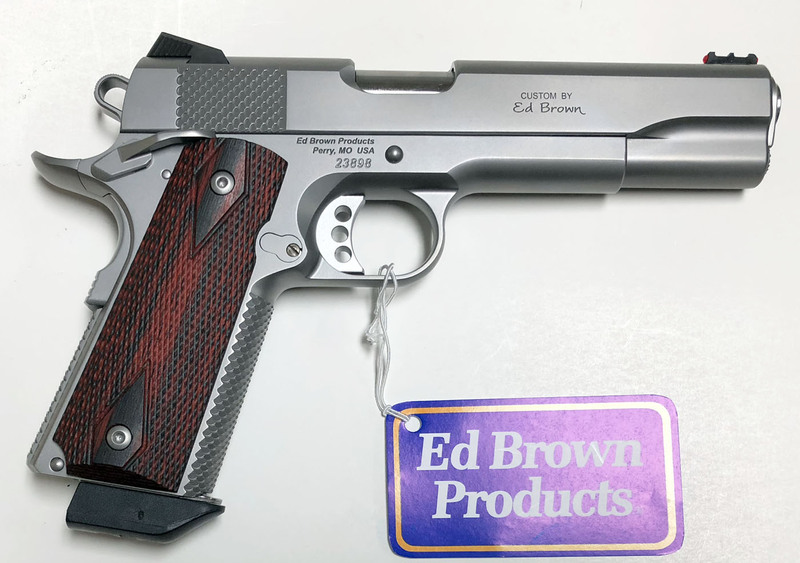 Condition: New In Ed Brown Soft Case! 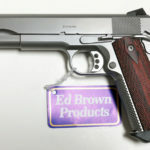 Price: $2,695 - Free UPS 2nd Day Air Shipping! OUR BEST-SELLING HIGH END PISTOL, OFTEN IMITATED BUT NEVER EQUALED! 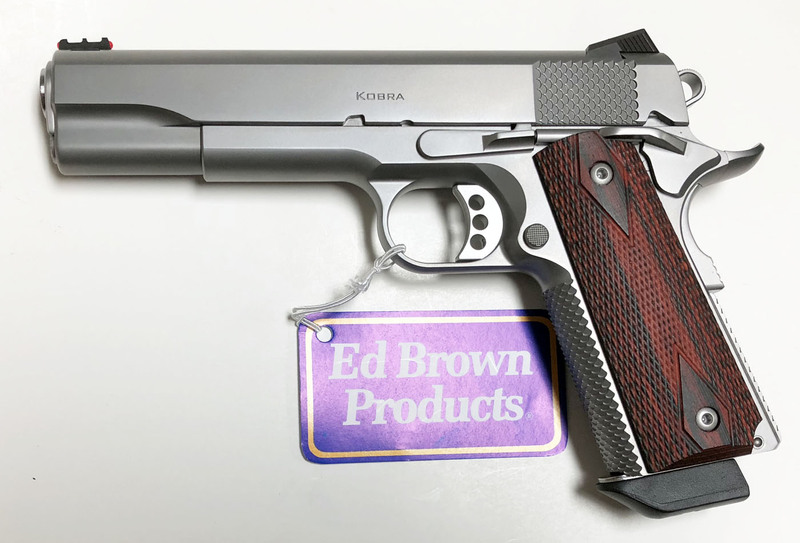 The Kobra Stainless is a truly unique pistol, and one of our most innovative firearms. 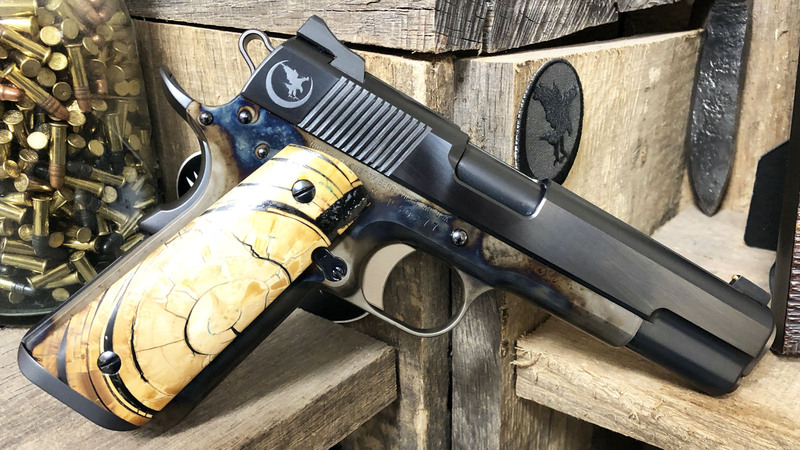 Unique with the Kobra series pistols is the innovative, popular and often imitated Snakeskin metal treatment. 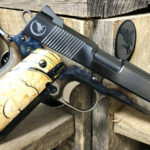 It is a directional pattern, meaning it is smooth to slide your hand up, but bites in for a snug grip the other way where you need it. It’s easier on the hands than checkering, and our female customers in particular can’t stop bragging about it. Not to mention it just looks cool! Except for the snakeskin metal treatment, this pistol is identical to the Executive Elite in all respects. This no-nonsense design has an elegant simplicity that has yet to be matched. 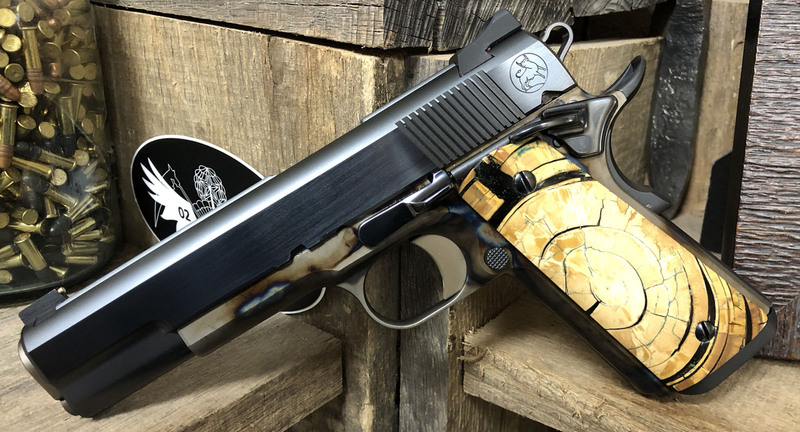 The Kobra is an innovative masterpiece, and a serious tool for those who want something a little different. We are sure you’ll be charmed by the Kobra! 5″ Government model slide, single stack government model frame. 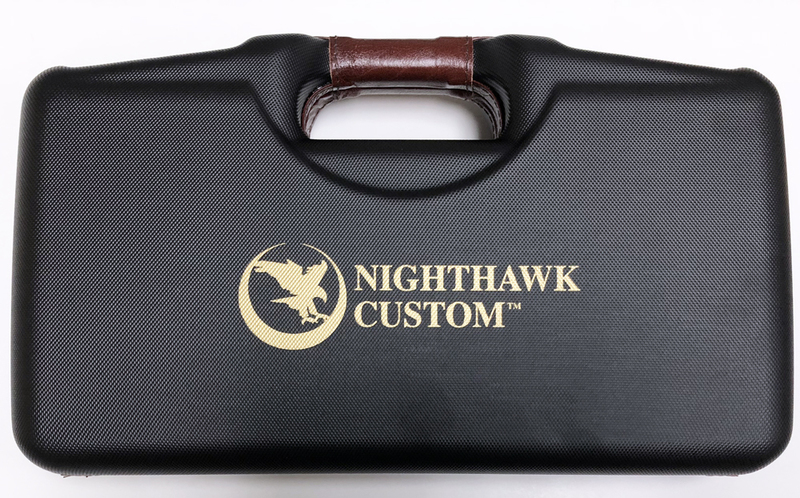 The John Browning traditional design for the ultimate in reliability and accuracy. Low glare finish, with snakeskin on rear of slide only. Fixed dovetail Fiber Optic Front Sights.